Some franchises claim to offer the lowest rate, yet once at the counter that ‘teaser rate‘ vanishes. We, at Vamos, refrain from deceptive pricing. Hence our price rate guarantee. In the car rental business, price is usually the main deciding factor for many people. This is quite understandable since a car is merely a commodity. As long as it does what it’s supposed to do; i.e. get you from point A to point B effortlessly, then it’s really irrelevant whether or not it was rented from a large franchise or a small independent operator. When you’re planning a vacation and budgeting expenses, you certainly don’t want to go beyond your means. Look to discount coupons, seasonal specials and promotional codes to lower your trip’s total. The cheapest rate may not always be the best. Some companies fail to disclose that purchasing their respective Collision Damage Waiver (CDW) is a requirement! 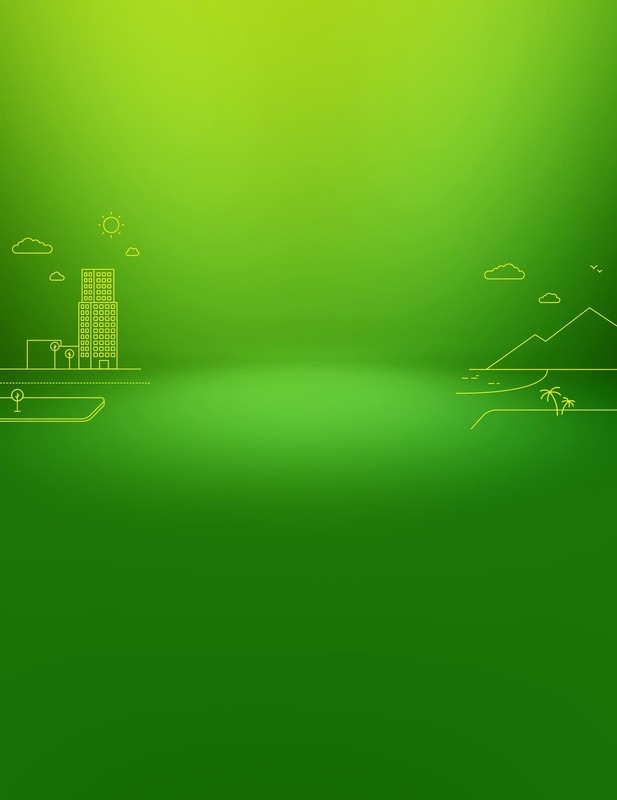 In some cases, a credit card CDW policy will be negated. This is in addition to the Mandatory Insurance and thereby increasing the total cost from $12.95 to $21 per DAY. That seemingly low quote suddenly lost its appeal. There is also a lack of standardized terms for insurance. For example, Collision Damage Waiver (CDW) may be referred to as Loss Damage Waiver (LDW), yet it is effectively the same. Not to mention the handful of other charges that somehow add up like little, wet Gizmos! Take a quick look at this chart where a mysterious 200-300 dollar charge suddenly appears like a rabbit out of a hat! Most of the time, you do get what you pay for, but other times, you are pleasantly surprised! 3. This is Where Vamos Really Shines. We offer our clients more perks than any other agency and we’ll still save you a lot of money. That’s why we’re not afraid to match any competitor’s quote for a comparable make and model during the same timeframe. 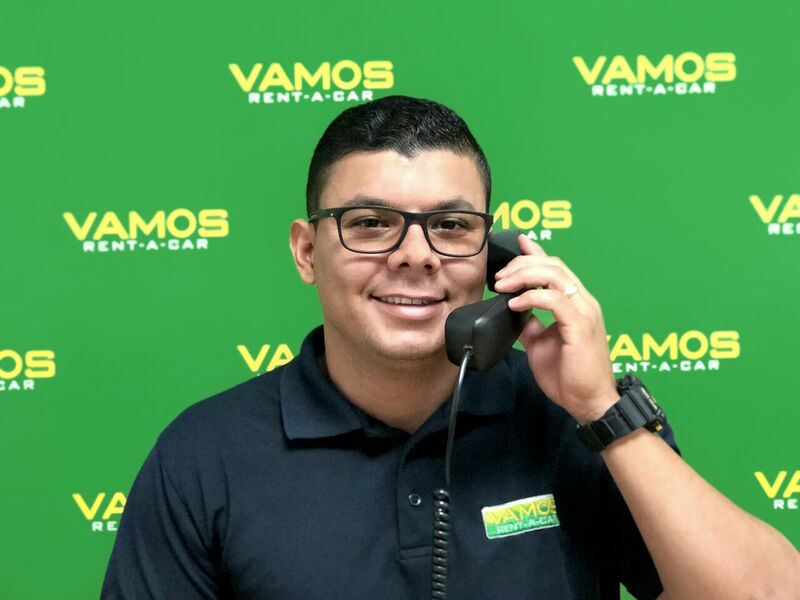 Vamos has been reviewed as one of the top 3 lowest priced car rental companies in Costa Rica, but we do so much more than just rent a cheap set of wheels! Read what experts on TripAdvisor.com have to say, taking these two posts ( post 1 and post 2) on this thread as examples of how the pricing suddenly changes — and not in your favor. Our customer service really separates us from the crowd. We are one of the few with Live Chat, even fewer still for being completely transparent in our pricing and insurance structure. We go above and beyond to help you have the best, stress-free vacation! Don’t be treated like another Gringo tourist. Get the attention you desire. Let Vamos treat you like family. We wouldn’t have grown our business to what it is today if we didn’t take care of our clients. Browse our selection of cars, read our informative pages and ask our support staff questions to put your mind at ease. With offices in San Jose and Liberia, we’re here for you! We will match any advertised quote from any brand name car rental website — Budget, National, Dollar, Alamo, etc. You may email or fax your quote to us — whichever you prefer. We’ll walk you through the confusing terms and point out their fine print with our comparison quote. After which, you’ll be able to make a better, more informed decision. The Price Match Guarantee is a mutually exclusive offer and cannot be combined with any other promotion. Price matching is valid from April 15th to June 30th and from August 15th to November 20th. Since Poas Rent A Car is our sister company and not a direct competitor, they’re excluded from this offer. It may take us up to 36 hours to fully investigate your submitted quote, as many ‘teaser rates’ exist. 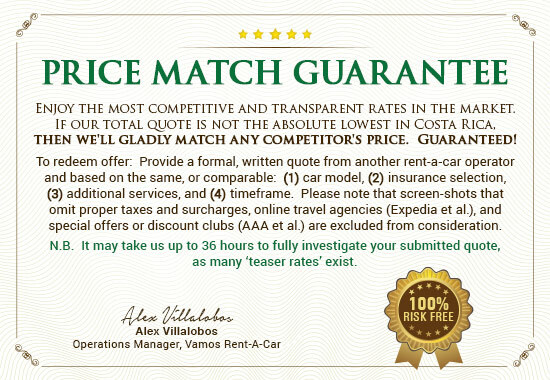 "All Perks, No Hassles — That’s Vamos Rent-A-Car"